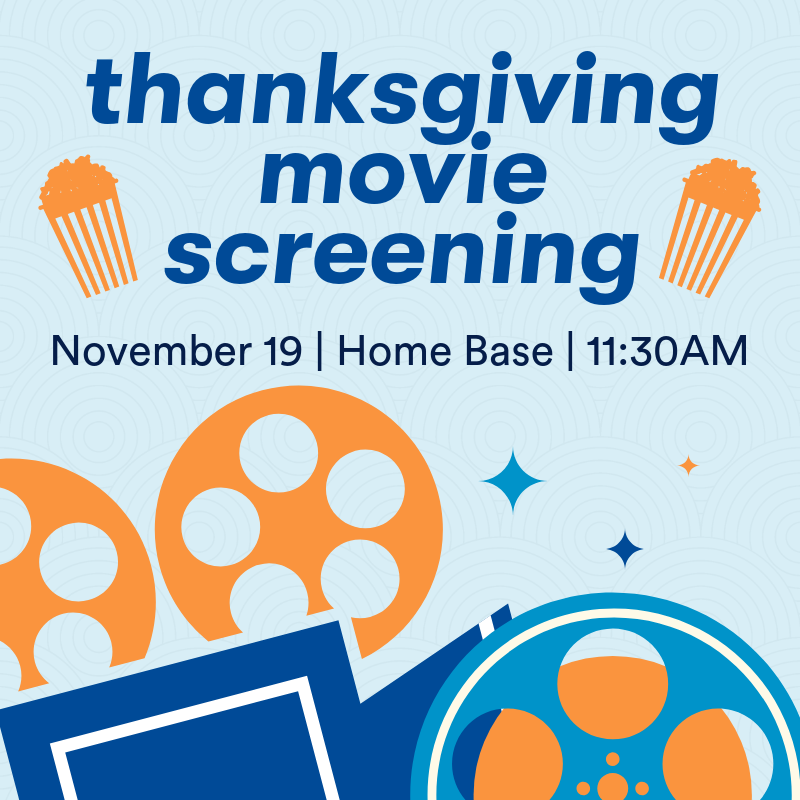 Join us for a holiday movie screening in Home Base to chase the Monday blues away! We'll have popcorn, candy and other Thanksgiving themed snacks. We'll start with "Jack & Jill" at 11:30, with "Home for the Holidays" immediately to follow. See you there!